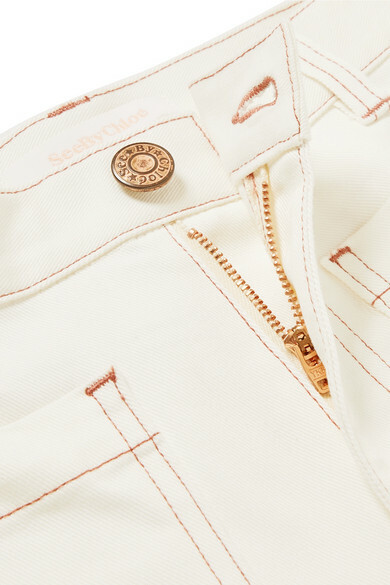 Chloé's high-rise jeans have a distinctly vintage feel. 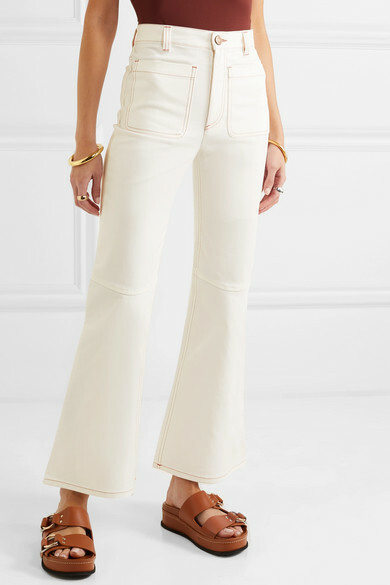 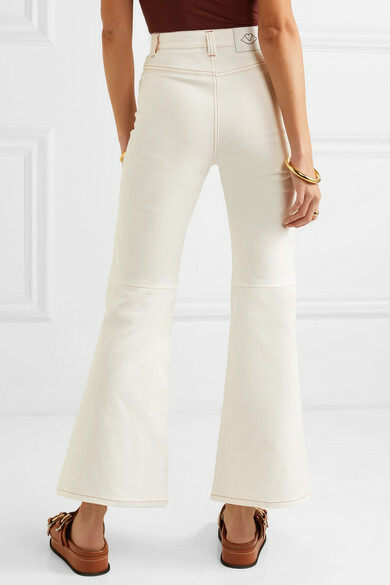 Cut from white denim that’s woven with a touch of stretch for comfort, they’re fitted through the thigh before kicking out to cropped flared cuffs. 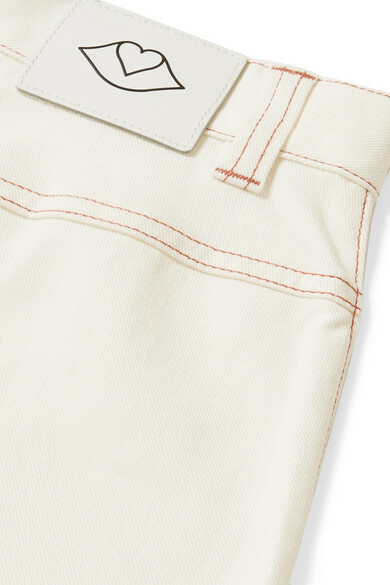 Match your top to the contrasting brick stitching.